It’s christmas shut down. No sites have had any work since mid December. Some will start tomorrow. Some the week after. No one on site this morning but work has been done, the far rear wall the dirt ramp removed and the wall reinforced, new ramp down install mid site. 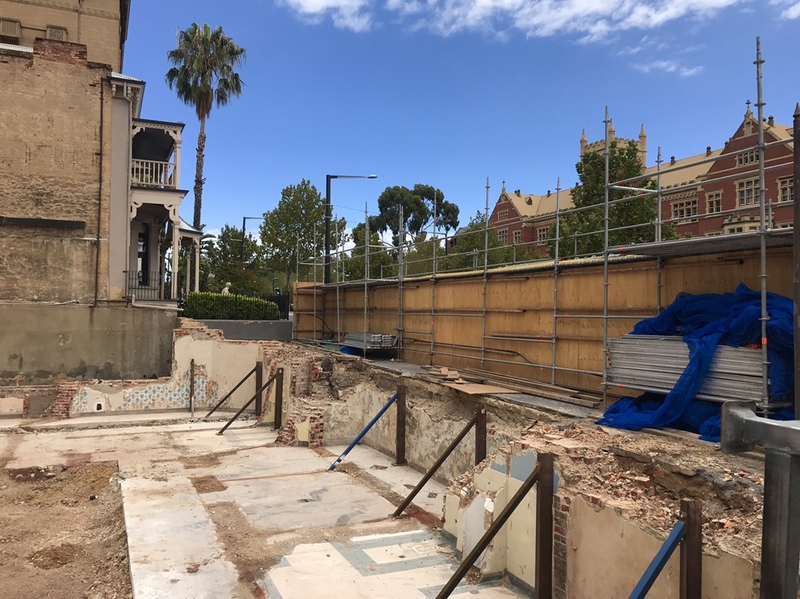 269 North Terrace 23-01-2019 at 09:53 from the North Terrace western corner near the Masonic Hall. 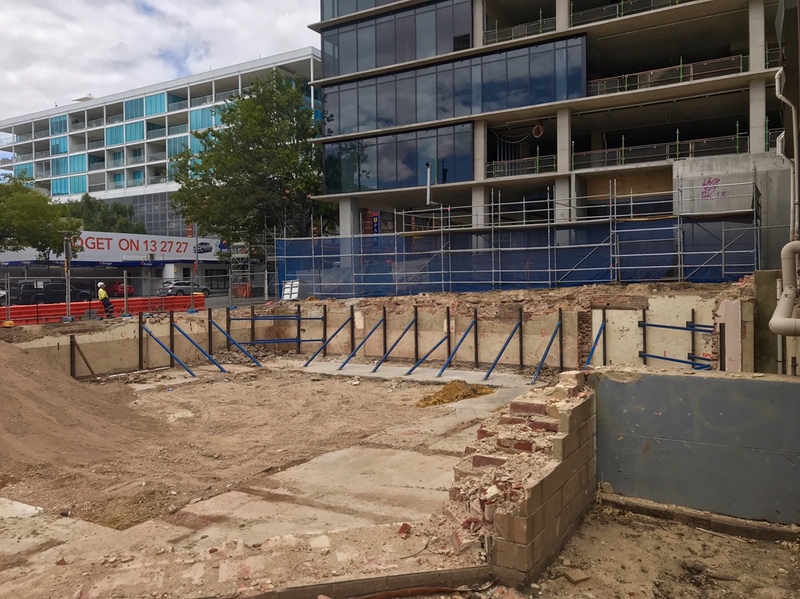 I wondered how they would remove the previous basement without the heritage building up against it falling down. I suppose this type of thing is done everyday all over the world but it fascinates me how it all works. Will they leave the exisiting walls there? New design recommended for approval at next weeks meeting. The Frome St awnings aren't a good addition, although it looks like that's a requirement they've been battling with (Government architect wants pedestrian cover, but also wants it to fit with the vertical composition of the building). Doesn't really look like a 17 metre difference in heights between this and Adelaidean so I wonder how accurate this render is? So it gets to this stage of demolition, then has to go back for planning approval I'm confused, can someone explain to me? To be honest, I hope this one doesn't happen. Adelaide finally gets a new tallest (sad but true, something we will be judged by) and we get a student accom building built just metres away. For hotel guests and apartment owners facing North, they'll be looking straight at this thing.... built right on our cultural boulevard. Arguably the finest boulevard in the country. Not sure why you would use a coating like that when you can tint concrete while making it.